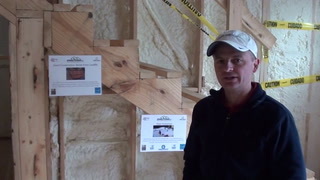 Find out what goes into making a perfect residential wall. 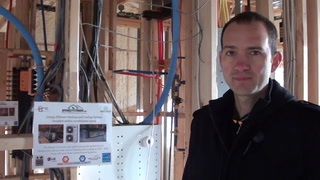 Luis Imery, builder of the Proud Green Home at Serenbe, explains some of the steps taken to ensure job site cleanliness. The home will meet several strict building standards, including EarthCraft and Energy Star. Go behind the scenes to see what makes this home so special. 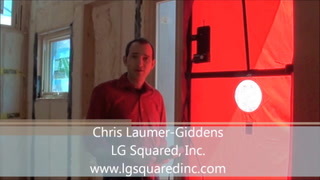 Architect Chris Laumer-Giddens of LG Squared Inc. gives an overview of the heating and air conditioning installation at the Proud Green Home at Serenbe. The ducted mini split system from LG Electronics delivers a highly efficient environment for maximum home comfort in the Georgia climate. During the pre-drywall blower door test, The Proud Green Home at Serenbe was found to be about 90 percent tighter than a home built to the 2009 building codes. Read more about the Proud Green Home at Serenbe. Go behind the scenes to see what makes the Proud Green Home at Serenbe a high-performance home. Innovative building science delivers high performance and energy efficiency in the Proud Green Home at Serenbe. Work accelerates on the interior as mechanical systems and insulation are installed. Metal siding and roofing blend with other exterior materials for a unique design and high performance. Boral Bricks will be used in exterior and interior applications in the Proud Green Home at Serenbe. ProudGreenHome.com launches its first home at Serenbe.